At Vox, we want to ensure that we treat your gifts with the respect they deserve, and we want to ensure that we are accountable to our supporters. To ensure this, we have put together a list of policies and procedures that govern how your donations are used by us. Donors are encouraged to make unrestricted gifts wherever possible to allow Vox Alliance Church to direct donations to the areas and programs of greatest need. Vox Alliance Church will accept restricted or designated gifts for approved and priority purposes as outlined in Vox Alliance Church Policy #2, Designated/Restricted Gifts. Vox Alliance Church does not accept endowments. The form of support covered under this policy includes donations, grants, and in-kind gifts, in keeping with Income Tax Act (Canada) regulations, Canada Revenue Church guidelines and any other applicable guidelines. All acceptances of gifts must also comply with, and hold us accountable to, all relevant Vox Alliance Church policies and codes. Vox Alliance Church reserves the right to decline a gift. The final decision to accept or decline a gift rests with the Lead Pastor unless it might expose Vox Alliance Church to liability (e.g. real estate and other gifts in kind), is precedent setting or involves sensitive matters, in which case, the final decision rests with the Board. Acceptance of a gift does not imply endorsement by Vox Alliance Church of any product, service or philosophy of the donor. Donors are strongly encouraged to review the terms of deferred gifts with Vox Alliance Church staff to ensure Vox Alliance Church can honour donors’ wishes. Vox Alliance Church strongly recommends all donors seek advice from professional advisors and discuss the matter with family when considering a bequest or other deferred gifts to Vox Alliance Church. Vox Alliance Church will produce supporting documentation for gifts that have multi-year commitments or that are designated for specific purposes (see Policy #2, Designated/Restricted Gift Policy). In certain circumstances, it may become necessary for Vox Alliance Church to return a previously accepted gift. The final decision to return a gift will be made by the Board, in consultation with legal and financial counsel. When a decision is made to return a gift, Vox Alliance Church will comply with Canada Revenue Agency requirements. In addition to the return of the same or identical property, Vox Alliance Church will provide the donor with details on the cancelled or revised charitable tax receipt. A copy of this tax receipt will be filed with Canada Revenue Church. Gift or Donation – The terms “gift” and “donation” are often used interchangeably. For the purposes of this policy, “gift” and “donation” are understood to mean the same thing, that is, a voluntary transfer of cash or in-kind goods from individuals, corporations, foundations and other sources to Vox Alliance Church for either undesignated or designated use. Gifts are made without expectation of a tangible return. Deferred gift – Deferred giving is the process of making a gift commitment today for delivery to Vox Alliance Church at a future date. See Vox Alliance Church Policy #5, Deferred Gifts. Designated or Restricted gift – A gift given to Vox Alliance Church where the donor has specified how the support is to be directed. See Vox Alliance Church Policy #2, Designated/Restricted Gifts. Undesignated or Unrestricted gift – A gift given to Vox Alliance Church where the donor has not specified how the support is to be directed. Vox Alliance Church will determine the most appropriate use of the gift. In-Kind Gifts – In-kind gifts include tangible personal property, real property and goods or services, as outlined in Vox Alliance Church Policy #3, Gift-in-Kind. Gifts of Securities – Gifts of securities include donations of publicly traded and thinly traded securities, as outlined in Vox Alliance Church Policy #4, Donations of Securities. Deferred Gifts – Deferred gifts include bequests, life insurance, retirement plans such as RRSP’s and RRIF’s, charitable gift annuities, charitable remainder trusts and other gift vehicles that may be categorized as deferred gifts in the future, as outlined in Vox Alliance Church Policy #5, Deferred Gifts. Vox Alliance Church encourages donors to give undesignated and unrestricted donations or gifts so that funds may be directed where the need is greatest. However, Vox Alliance Church acknowledges the importance of and will support designated gifts when that designation is consistent with the mission and priority needs of Vox Alliance Church, as in the Church’s annual operating budget approved by the board. However, Vox Alliance Church does not have nor is accepting endowments. All acceptances of gifts must also comply with, and hold us accountable to, any relevant Vox Alliance Church policies and codes. Vox Alliance Church will produce supporting documentation for gifts that have multi-year commitments, or that are designated for specific purposes. Vox Alliance Church will accept and receipt those in-kind gifts it deems appropriate, in accordance with the Income Tax Act (Canada), Canada Revenue Agency guidelines and requirements, and relevant Vox Alliance Church policies and codes (see Policy #1, Gift Acceptance Policy). In-kind gifts of real estate will be reviewed and approved by the Board of Directors on a case-by-case basis. Vox Alliance Church reserves the right to decline any in-kind gift. The decision to accept or decline a gift rests with the Lead Pastor unless the source of a gift might expose Vox Alliance Church to liability, is precedent setting or involves sensitive matters, in which case, the final decision rests with the Board of Directors. Proven value of the donated item is required in order for Vox Alliance Church to issue a tax receipt. Receipted in-kind gifts will be accompanied by supporting documentation such as an in-kind gift form. Vox Alliance Church can receive gifts of securities listed on any prescribed stock exchange or market, including Canadian stock exchanges, the NYSE, AMEX, and NASDAQ, in keeping with the guidelines set out by the Canada Revenue Agency and all relevant Vox Alliance Church policies (e.g. Policy #1, Gift Acceptance Policy). Vox Alliance Church can also receive gifts of mutual funds/units, pooled fund units and segregated fund units. In addition, Vox Alliance Church can accept donations of thinly traded securities which can be difficult to liquidate at the value or close to the value of the shares at the time the gift was made. These will be accepted on a case-by-case basis, in consultation with the Church’s brokerage firm. Donors must discuss their proposed donation of thinly traded securities with Vox Alliance Church in advance of initiating a transfer of such securities. Vox Alliance Church reserves the right to decline any gift, as outlined in Vox Alliance Church Policy #1, Gift Acceptance Policy, including, but not limited to, a gift of thinly traded securities if Vox Alliance Church is not notified in advance of the transfer. Electronic transfer of gifts: For the purpose of valuing the income tax receipt for securities transferred electronically, the value of the gift will be based on the closing market value on the day the gift is received in Vox Alliance Church’s brokerage account. Transfer of gifts via share certificate: If the gift of securities is delivered via share certificate, the value of the gift, for the purposes of valuing the income tax receipt, will be based on the closing market value on the day Vox Alliance Church or its broker takes possession of both the share certificate and the transfer documents/Power of Attorney. As part of our continued pledge to remain accountable to our donors, Vox Alliance Church encourages donors to discuss the proposed gift with independent legal, financial or tax advisors and family members. Donors are encouraged to contact Vox Alliance Church to discuss their proposed donation prior to the transfer of their securities. Donors must complete the donation transfer form to complete their gift. Vox Alliance Church accepts donations in the form of “deferred gifts” as bequests, life insurance, retirement plans such as RRIFs or RRSPs, charitable gift annuities, charitable remainder trusts and other gift vehicles that may be categorized as a gift in the future. Donors are encouraged to make unrestricted deferred gifts whenever possible to allow Vox Alliance Church to direct support to the areas and programs of greatest need. Vox Alliance Church will accept restricted or designated deferred gifts for approved purposes, described in Vox Alliance Church Policy #2, Designated/Restricted Gifts Policy. All acceptances of gifts must comply with, and be accountable to, any relevant Vox Alliance Church policies and codes. Tax receipts for deferred gifts will be issued in accordance with Income Tax Act (Canada) regulations, Canada Revenue Agency guidelines, requirements for the specific gift vehicle involved and all applicable Vox Alliance Church policies. Vox Alliance Church strongly recommends all donors seek advice from professional advisors and discuss the matter with family when considering a bequest or other deferred gift to Vox Alliance Church. All receiptable donations of $10 or more will be acknowledged with a thank you letter and official income tax receipt issued on an annual basis for the total amount donated by an individual or organization within the previous fiscal year, unless otherwise requested in writing. 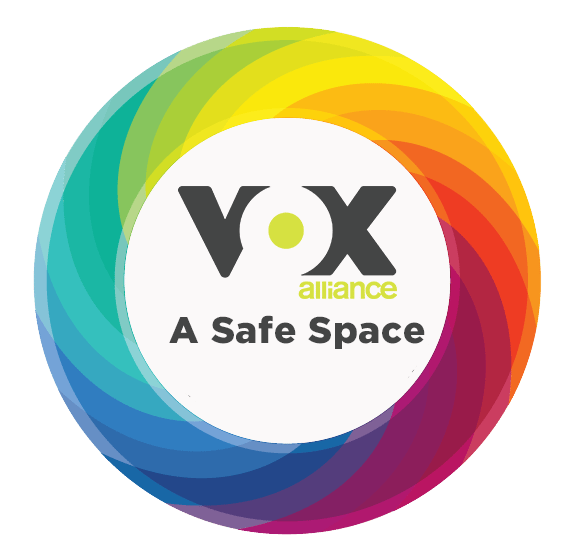 A donation is defined as a voluntary transfer of cash or in-kind goods from individuals, corporations, foundations and other sources to Vox Alliance Church for either undesignated or designated use. In addition, gifts (cash or in-kind) starting at $1,000 can receive more public recognition. Vox Alliance Church may publicly recognize gifts made by donors. The recognition vehicle(s) will be determined by Vox Alliance Church to be consistent with the type and value of the gift. The manner in which the donor is recognized will be agreed to, ahead of time, by the donor and Vox Alliance Church. Thank you for taking the time to read through the Donor and Giving Policies of Vox Alliance Church. If you have any questions concerning these policies you can contact us at [email protected], or by calling the church at 705-220-1040.